If the D.C. area is tired of sharing frigid air with the North Pole, good news: The region is trading in a cold snap for spring-like temperatures, at least for a few days. Find out how often in the last decade that the temperature has made it above 60 in February. 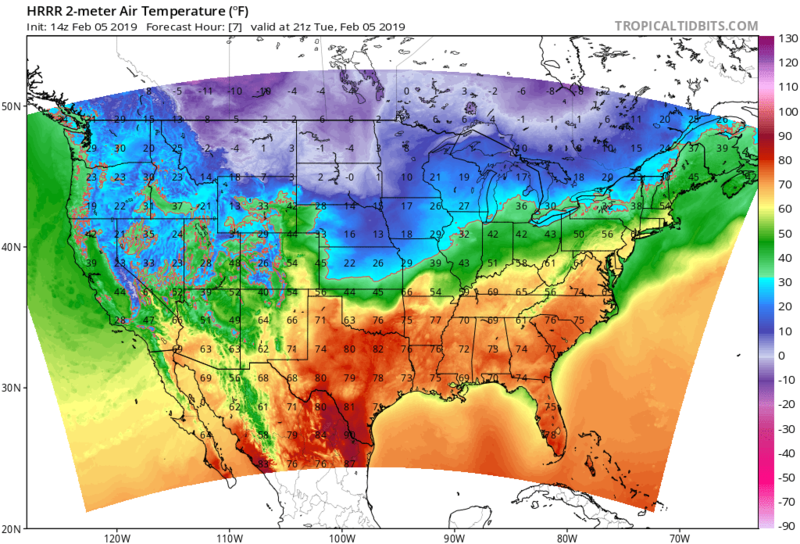 WASHINGTON — If you are tired of sharing frigid air with the North Pole, good news: The region is trading in a cold snap for spring-like temperatures, at least for a few days. High temperatures on Tuesday, Thursday and Friday will likely break 60 degrees — more than 20 degrees above normal for this year, closer to what the D.C. area would normally see in April. It’s a good day to head outdoors, and worth enjoying before daytime highs dip back into the 40s this weekend. Despite the recent roller coaster ride in high temperatures, it’s not all that unusual for D.C. to see a few unseasonably warm days in February. Every February since 2011 has seen at least one day reach 60 degrees — 2016 to 2018 had at least six days over 60, with two days in February 2018 even passing 70. “We tend to be fairly mild in February around the region,” NBC Washington meteorologist Lauryn Ricketts said. In fact, the only February in the last 10 years where D.C. didn’t make it above 50 was 2010 — when the region saw one of its most significant blizzards in recent memory.